I'm finally getting around to sharing my closet revamp with you all! As you know from the preview, I wanted to turn my closet into a little room of its own. While not very spacious, it's just enough for me. If it was a little larger I would probably put a pretty accent chair and dressing table in there- a girl can dream, right?! 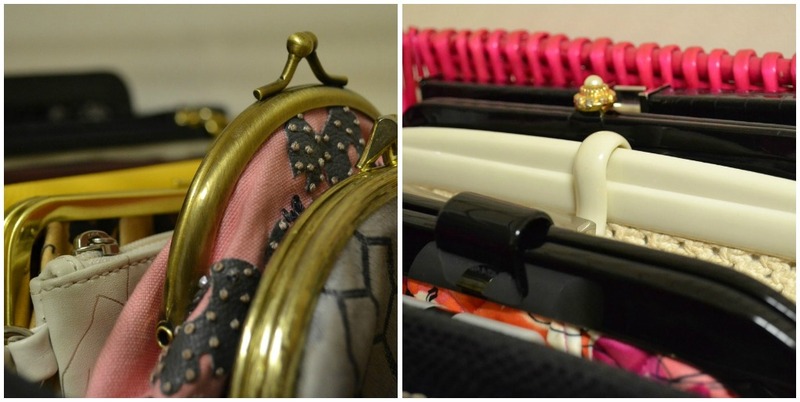 Being on a budget, I utilized some things I already had to organize and glam up the closet a bit. If you ever have the opportunity to create a space like I have, I can promise you won't regret it, and it will make getting ready incredibly fun! Wishing each of you a wonderful Monday and week ahead! Wow I am so impressed!! Looks great!!! loveeeeee it :) Looks fabulous!!! It's darling Julie! I need to move out the ten hangers of husband's wardrobe and revamp my closet too! Bee-you-tee-full! This is so neat Julie...I'm coveting all your fabulous shoes too! aaah you did a great job! I wish I had so much space!! Gorgeous! I wish I could do something similar but mine isnt a walk-in :O( I love how your have your headbands! I always wondered what to do with them lol! Love the earrings on the bulletin board thing! What a great idea!!! 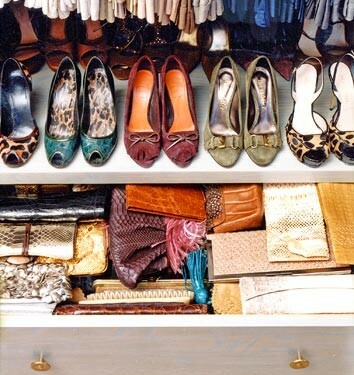 Love your closet space! You did a great job! omg shoes! you have so many. v jealous of your beautiful closet :) xo jillian:: ps im hosting a judy kaufmann print giveaway! LOVE IT!! I can't believe how many pairs of heels you have! I would just love to wear heels every day, but as a teacher there's no way. I've tried!! Maybe twice a week :) Thanks for posting!! Love it! I have to re-do mine now! I started but never finished it. thanks for the inspiration! Julie Girly Girl, it looks great!!! Gorgeous! My closet is still a terrible mess, since the big move. You've given me the inspiration to get moving! Love!!! I might have to call you the little coveteur...b/c these photos are fab! 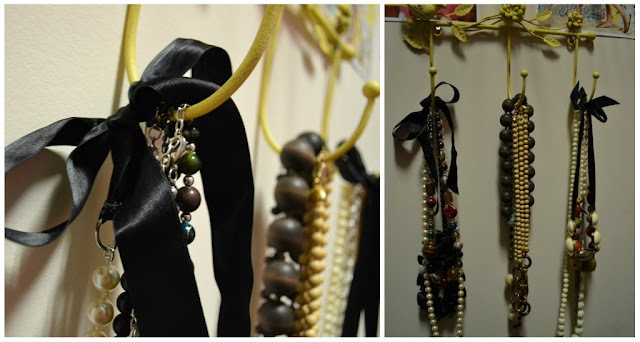 Love the corkboard idea for hanging earrings. My jewelry drawer is such a mess right now. I think I need to spend a little time and get organized. Thanks for the inspiration!!! I'll be getting dressed has just gotten more fun. oh my goodness - i want to come have tea in your closet!!!!! AND get beautified!! LOVE, LOVE, LOVE!!!!!! You did a very good job! It looks perfect, beautiful, and glamorous. Oh, this is wonderful...you did a fabulous job. And I'm drooling over your shoes. Thanks for sharing! Your closet looks great! I love all of your attention to detail...AND all your shoes =) Definitely looks like a fun place to get ready!! So glad I found your blog - I am your newest follower! I'm so jealous! I would have that closet looking a mess within a week! But it definitely is beautiful! How exciting! LOOKS SO FAB!!! Amazing! It turned out so cute and totally Julie!! It is so perfectly YOU! Glam, girly, and filled with special touches. I'm just LOVING those blue heels with the pretty bow, doll. Kisses to you! PS - the Glitter Guide is HERE! Hooray! The images you posted had me squealing in delight... and dancing to the song in that video. Tee hee. 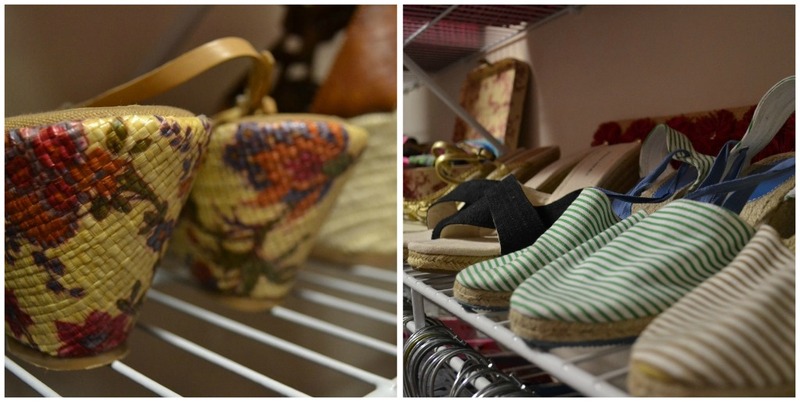 Your closet looks fantastic - I love your shoes! I wish I could keep mine spread out like that - it would save me so much time getting ready. 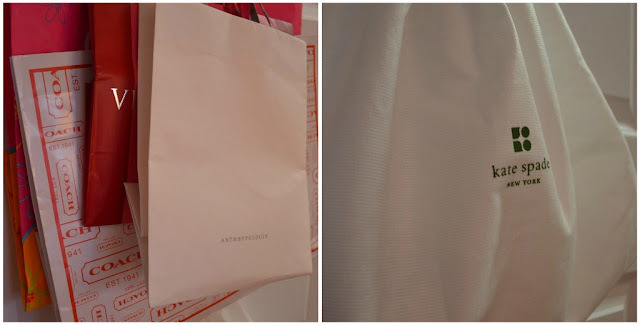 Your closet looks so beautiful! You did such a great job! !